Hello everyone, i’m back with the promised entry of my skincare routine as advised by Dr Kan… This skincare routine will help to control and stabilize skin / breakouts in between Spectra Carbon Laser Peel. As each session of the laser treatment can only be administered every 3-4 weeks, it is important to use appropriate skincare products religiously to keep skin clean while targeting skin issues (in my case: reduce breakouts, clog pores and oil secretion). This is a really important step and it is a must to use an effective product that will remove all dust, excessive sebum, impurities and make-up which contributes to skin problems. In addition, you will need a perfectly cleanse skin in order to prep it for your other skincare products (So that whatever you applied on will be fully absorbed and penetrated by the skin).. Besides good products, it is also important to know how to wash your face. Always remember not to leave your facial foam / cleanser on for more than 15 seconds and don’t exert too much force while washing (as many will think that this will better get the grimes off your face) as this will trigger off irritation. Before using your cleanser, you must also remove my makeup / sunblock first (double-cleanse) with a proper makeup remover. For effective cleansing, Dr Kan has provided me a gentle and calming cleanser for acne-prone skin. The Cetaphil Dermacontrol Oil Control Foam Wash is clinically proven to effectively remove excess oil, impurities and make-up that can clog pores and lead to breakouts. Tested and developed by dermatologists, this cleanser is specially formulated to help control excess oil production and wash away impurities. 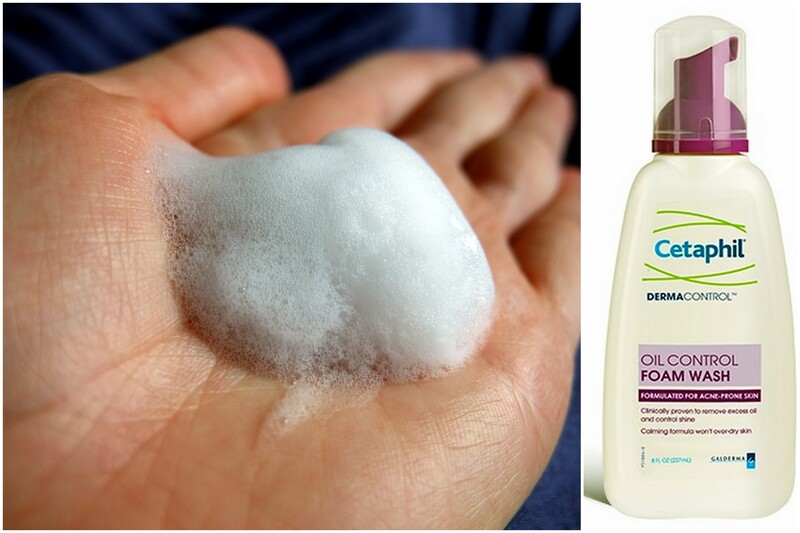 Despite being an oil control cleanser (most oil control products have harsh formula to keep oil to bay), the Cetaphil Dermacontrol Oil Control Foam Wash is non-drying on skin. Instead, the foam wash is great in keeping my skin clean while calming my breakouts. 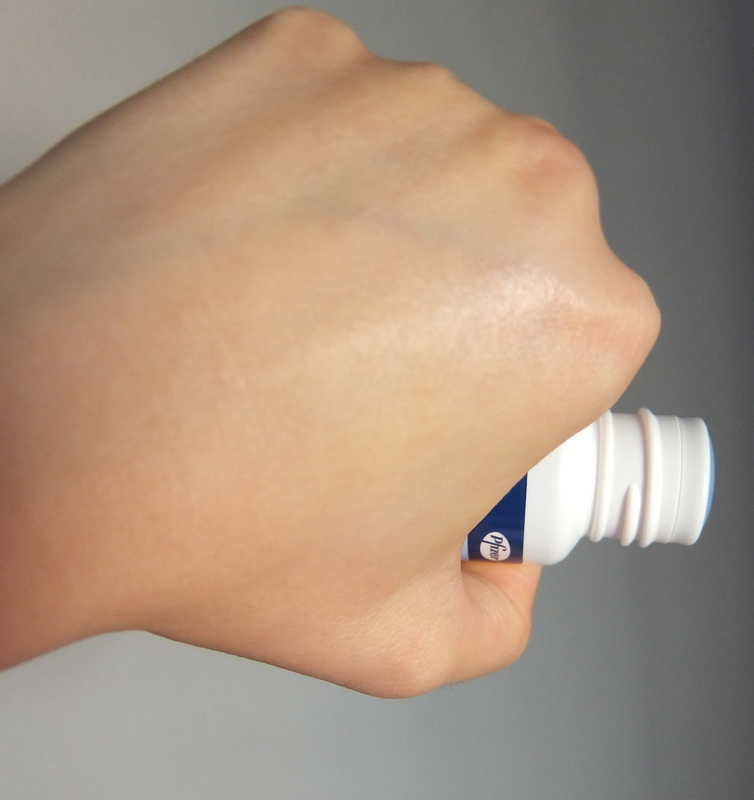 The pump on the bottle will dispense out a dense foam which makes usage more convenient and it spreads easily on my skin. However, the foam will dries out if i lather / massage too much (or long) which can be annoying but it serves as a good reminder not to leave the cleanser on for too long. Personally, i feel that the cleanser did a great job in cleansing my skin with the right balance (not to the extend of ‘ squeaky-clean’ which is not good as skin might be dried out). It is really gentle on skin as it leaves my skin clean & soothe without tightness or itchy from irritation. It is important not to strip off too much moisture from skin while cleansing as a well-balanced soothe skin is important to complement the subsequent acne skincare products (as it tends to be drying). As the use of toner is also part of the cleansing process to remove leftover residues after using a cleanser… This will help achieve a better cleanse skin to prep it for your other skincare products so that nutrients be able to penetrate into the skin optimally. The use of toner is also able to help the valuable ingredients of your skincare products (like serum & moisturizer) gets absorbed and processed more effectively. When you tone your skin, you are actually ‘wetting’ your skin and moist skin will absorb the nutrients better. With better penetration on well cleansed skin, your skin is going to enjoy more benefits. In addition, toner can include antioxidants, astringents, calming anti-inflammatory or soothing ingredients (according to your needs and preference) hence the additional add-on will better benefit skin. Dr Kan told me to continue using my current toner which is the Laneige Power Essential Skin Refiner Light. This is my HG toner and it feels so soothing / refreshing after i applied it! 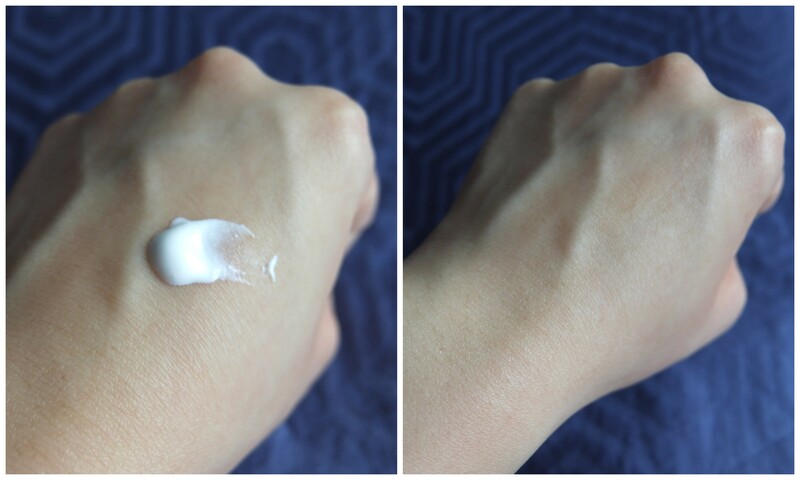 There’s no strong fragrance and because of its dewy / watery texture, a little goes a long way! A small amount will keep skin clean and it is so lightweight. After the product penetrates (almost instantly), there’s no sticky sensation and no oily residue. It is very gentle to skin and helps to calm down redness + add moisture to skin. 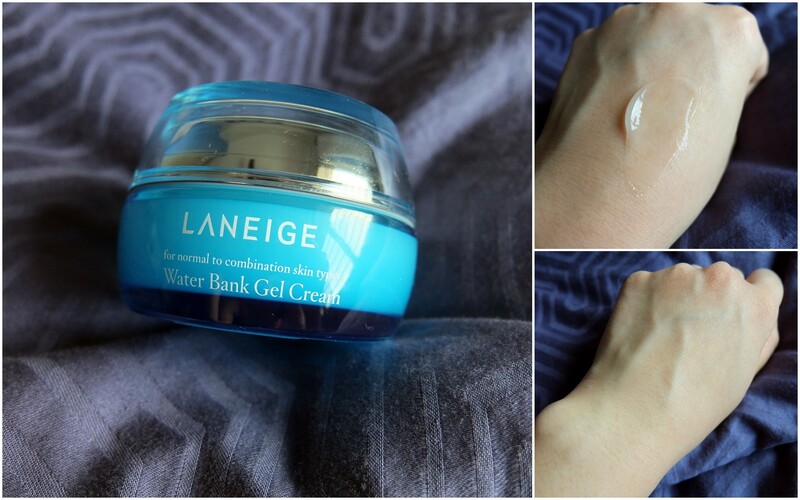 Together with the Laneign Waterbank Gel cream, my skin no longer feels dry and tight. Also, it helps to reduce sebum secretion so i guess my skin is better hydrated (as skin will over-produce oil when it is there’s lack of moisture). 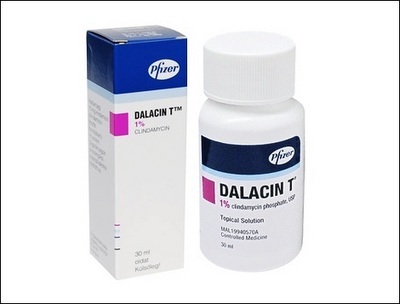 After the use of toner, Dr Kan has prescribed me with Dalacin T (1%) which is an antibiotic topical Solution (clindamycin phosphate) for the treatment of acne vulgaris. It works by killing or preventing growth of the bacteria responsible for acne / pimples infection. Besides containing Clindamycin phosphate, the Dalacin T also contains non-medicinal ingredients like isopropyl alcohol, propylene glycol, hydrochloric acid, sodium hydroxide and water. Will have to use Dalacin T until Dr Kan gives me the green light to stop it as symptoms may return if i stopped using it too soon. I’m supposed to use the Dalacin T 2 times daily on the whole face (Besides the eyes & mouth) and it comes in a bottle with applicator which i can use it directly by applying the medicine directly to the skin. Really useful as i don’t have to use my fingers to apply the product directly on my face. By tilting the bottle and dabbing the applicator across my face, it will dispense the right amount of topical solution (a thin-film) on my skin..
What i dislike about this product is the smell as it smells really unpleasant (the alcohol & medicated scent is really overwhelming). As it contains alcohol, do not use on broken wound and avoid the eye areas. During application, there will be a cooling sensation. On areas whereby skin is thinner and more sensitive, you might experience stinging sensation on areas. Do take note not to use it too much (a thin layer will suffice) and too often as it may cause your skin to be really dry / irritated.. I also avoid using it after laser treatment and i will let my skin rest a day or two before resuming. For spots treatment, Dr Kan has told me to apply the EPIDUO 0.1% / 2.5% gel sparingly on the affected areas after apply Dalacin T (Step 3). EPIDUO Gel consists of a combination of adapalene, a retinoid, and benzoyl peroxide for the topical treatment of acne vulgaris. This once-a-day prescription gel will help to fight breakouts and treat the pimples by the duo use of two antibiotic-free medicines* that work together. * Epiduo is the only antibiotic-free, topical acne treatment that combines two hardworking medicines, adapalene and benzoyl peroxide, to help clear up the breakouts and help prevent future pimples from forming. 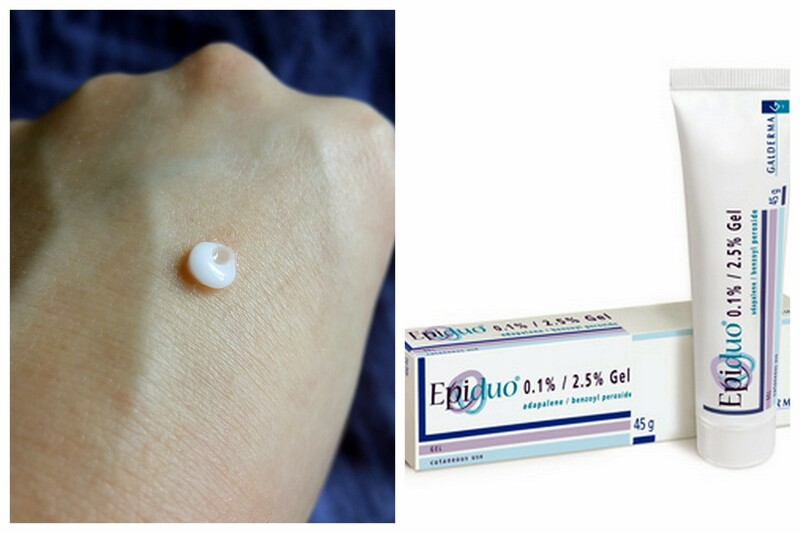 Benzoyl peroxide is one of the two effective medicines in Epiduo Gel. It’s an antimicrobial which kills the bacteria that lead to breakouts and helps prevent pimples from coming back. Adapalene is a type of retinoid, and the other medicine in Epiduo Gel. It unclogs blocked pores, helping to stop acne from forming under the skin’s surface and decreasing the redness, swelling and inflammation associated with pimples. 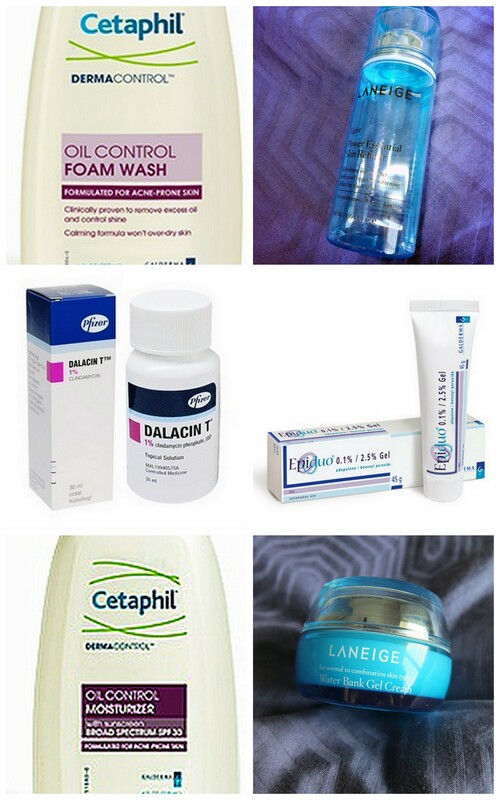 During day time, the use of moisturizer & SunBlock is really important especially if you are on prescription topical creams / gels that would dry out skin.. Because i have pores which will be congested very easily, i told Dr Kan that i would like to keep the amount of skincare products on my face to bare minimum (Sometimes i will even skip sunblock, Ooops!) . So Dr Kan prescribed me with a 2-in-1 product that combines moisturizer and sunblock abilities in one. 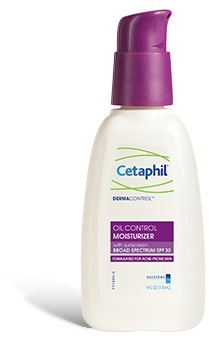 Developed and tested by dermatologists, The Cetaphil DERMACONTROL Oil Control Moisturizer (SPF 30) is a lightweight moisturizer with SPF for acne-prone skin. It helps to hydrate, protect and control shine with advanced zinc, ceramide and oleosome technologies. This gentle formula 2-in-1 product is clinically proven to manage oily skin, hydrates it and provides broad spectrum sun protection and controls shine. The Cetaphil DERMACONTROL Oil Control Moisturizer has a light and non-greasy texture and it gets absorbs quickly with a non-greasy matte finish. It does not create any white cast and won’t choke up pores. It also rebalances my skin and it also reduces the mild side effects (redness / dryness) due to the acne treatment products – Dalacin T & EPIDUO. It keeps my skin soft, calms it and hydrates it as the dry patches went away after consistent use. 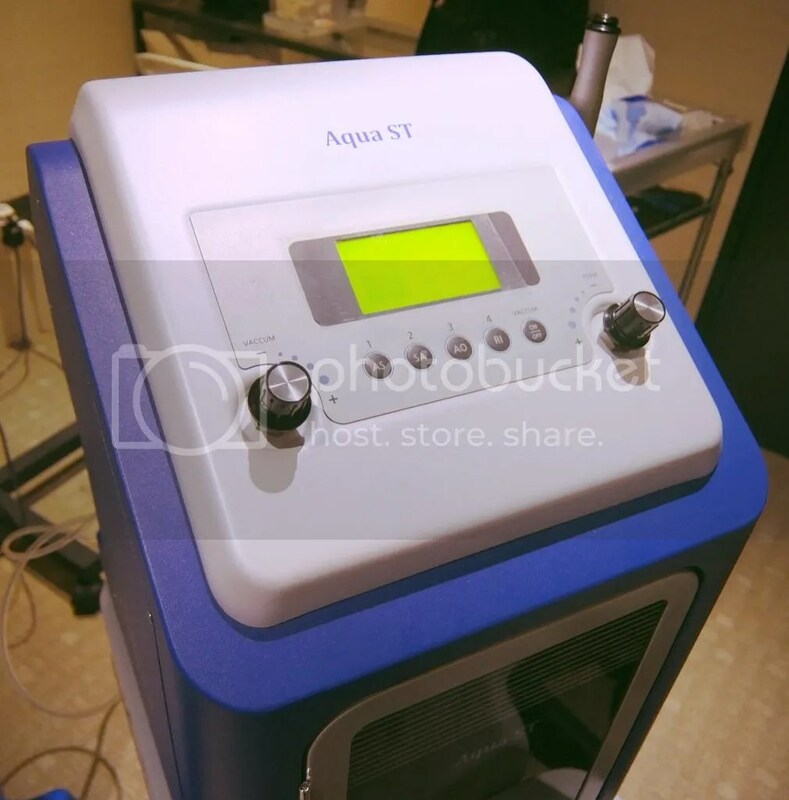 During the 2nd appointment, i have also tried out the Aqua ST System before the laser treatment to cleanse, exfoliate and to treat my skin. 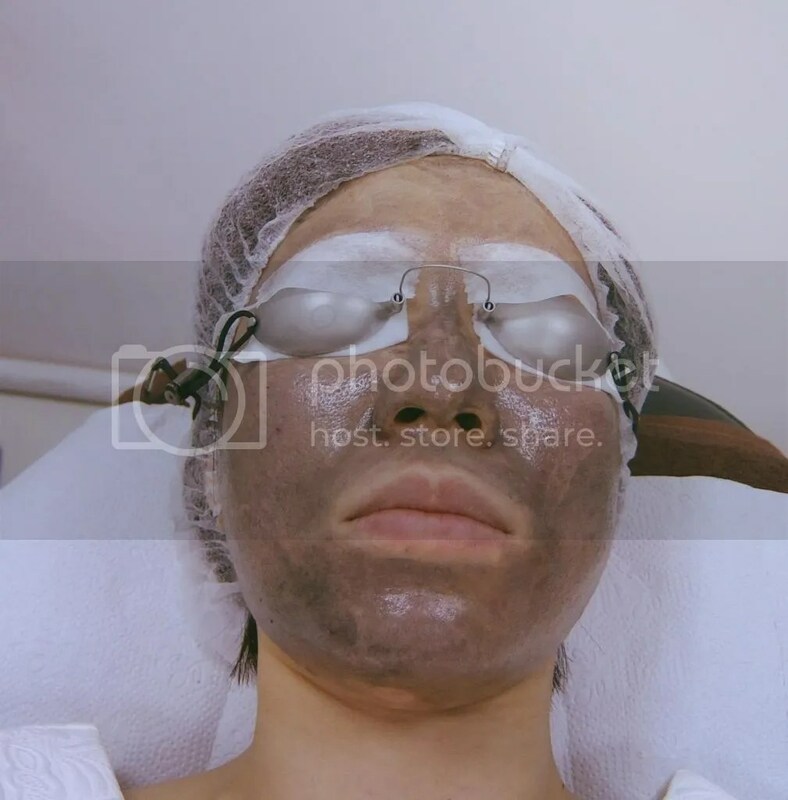 This skin treatment is mild enough to be used before laser treatments as it does not use crystals or other abrasive harsh particles that will irritate the skin. There will not be any downtime and you can see visible results with only 1 treatment and more significant results will be seen after 4 to 6 treatments. This skin treatment works by its 2-in-1 action – non-invasive exfoliation and delivery of topical solutions to safely and painlessly cleanse, exfoliate, extract and treat the skin.. The Aqua ST System skin treatment commerce after my skin was double cleansed. During the treatment, the machine will create a painless suction force and once done, a serum (that contains Salicylic Acid) was being applied onto the area. 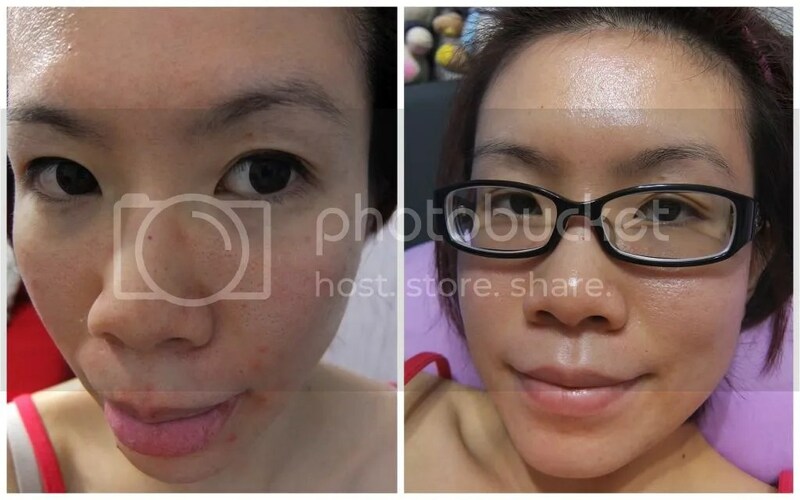 A customized serum would be used in accordance to individuals skin’s condition and in my case, an acne treatment serum were being applied on. 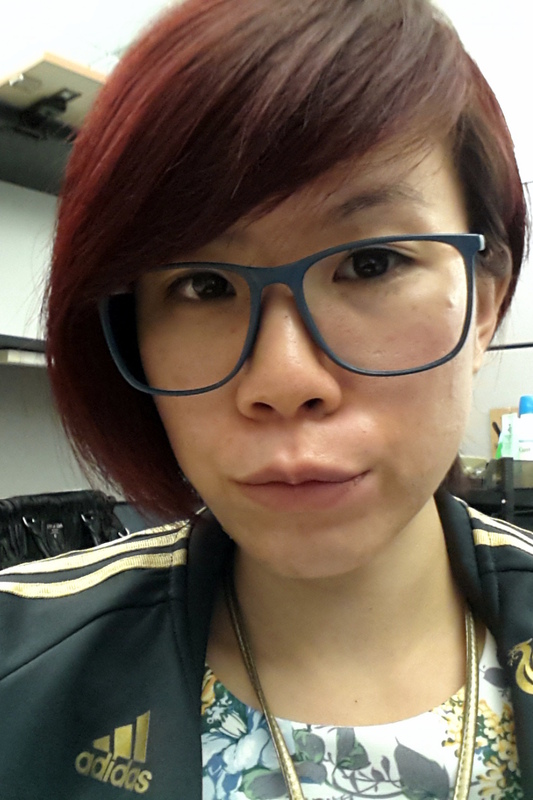 During the process, there wasn’t any pain or sensitivity and one of my pimple (on my chin area) even ‘harvested’. After that, my skin felt smoother to the touch and there wasn’t any redness! After the Aqua ST System skin treatment, i did my 2nd Spectra Laser Peel*. 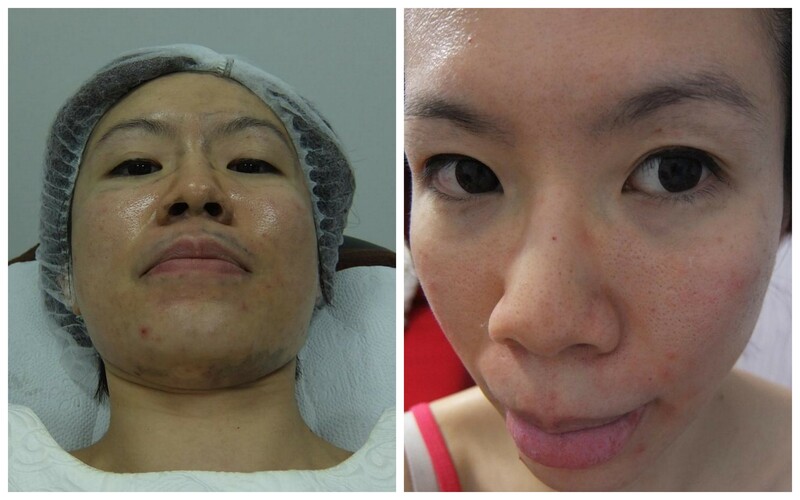 During the 3 weeks interval between treatments, my skin is less greasy and skin texture remains even. There’s also lesser clogged pores and breakouts healed much faster. Spectra Carbon Laser Peel will not cause any scabs, pain or bleeding hence no numbing cream is required. Like the first treatment, a thin layer of carbon lotion was applied on prior treatment to enhance the absorption of the laser beam. *Spectra Laser Peel is an effective yet gentle carbon-assisted laser treatment which is highly effective in controlling / reducing all types of acne inflammation, reducing excessive oil and sebum production, unclogging pores and reduces pores size. It helps to reduces redness from past acne inflammation,calms skin, eliminate brown spots, improves acne scars, uneven skin tone & texture and fine lines. It also aids with regenerating collagen and reduces fine wrinkles while softens skin tone. Each treatment takes about 30 minutes and one can resume normal activity immediately afterwards. Recommended treatment should be done between 3-4 weeks interval. This unique treatment will help to reduce the flare-ups of acne, make those superficial acne scars unnoticeable and at the same time stimulate skin collagen growth. During the treatment, the Spectra Carbon Laser Peel machine will ‘emit’ a loud buzzing sound and when the laser was administered on my skin, all i felt was prickling sensation which was bearable (not painful) but a little uncomfortable. After doing laser on the whole face, Dr Kan concentrate on areas whereby there’s outbreaks (to kill the bacteria) before ‘blasting’ the carbon off. The buzzing sound got louder but there wasn’t any pain or discomfort Everything was done in about 25 mins and the clinic assistant helped me to clean off remaining carbon lotion on my face. Like the first treatment, there was no pain, no redness (only redness was on my breakouts. LOL! ), and no downtime. Love how my skin felt smoother to the touch and the overall clean and radiant look. Hi! Id like to know if you were required to take a full package with them for the charcoal laser treatment, or you could pay every session. Thanks so much for your help! Hi! I am considering going to Trinity Medical Centre to treat my oily pimply skin. i have been doing research about it. see that you have a new blogpost (part three) if the TMC journey. Mind lemme know if its good? 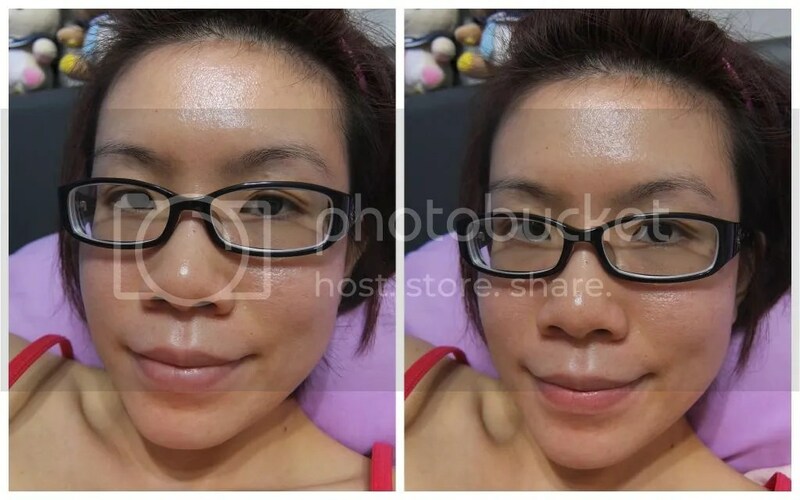 hi, can i ask about the Carbon Laser Peel treatment cost? thanks. how much u paid for the products?